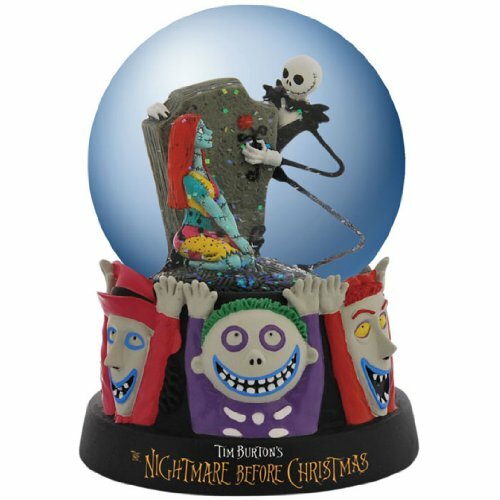 These amazing The Nightmare Before Christmas snow globes really put me in the holiday mood! While that may seem strange considering the skeletons and the creepy minions, this was one of my favorite Christmas movies as a kid and anyone who has seen it knows the appeal. Everyone I know would love to own one of these ghoulish snow globes to help bring in the Christmas cheer. Chances are if you are looking at this post that you also know someone or are someone who would love to see Jack, Sally, and the gang in a little glass orb. Not to mention these items can be used for Halloween as well as Christmas or could be left out all year long just to show your appreciation. Great thing about snow globes is that they are small enough to give out as gifts to your friends or to simply place all around your house for others to see. Click here to see more options! The three I found I feel show a good range of the different types of Nightmare Before Christmas water globes that you can find. Different styles and characters so that you can find the one that best meets your favorite aspects of the movies and your decor. If Jack is your favorite character or you just can’t enough of Sally, there is an option for you. The only downside to any of the options is that they don’t play songs like the traditional Christmas musical snow globes that are available. 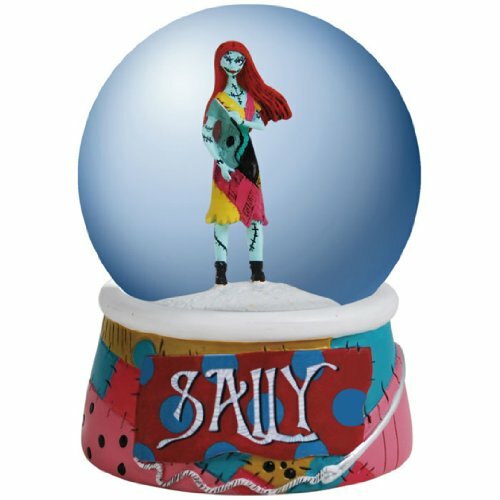 There is also a Sally snow globe which only features her. For those of you who like this style but aren’t a fan of Sally, the same style comes with Jack. It highlights the specific character in a clear background so you can fully enjoy them in a blizzard when you shake that snow globe up for a snowy flurry. 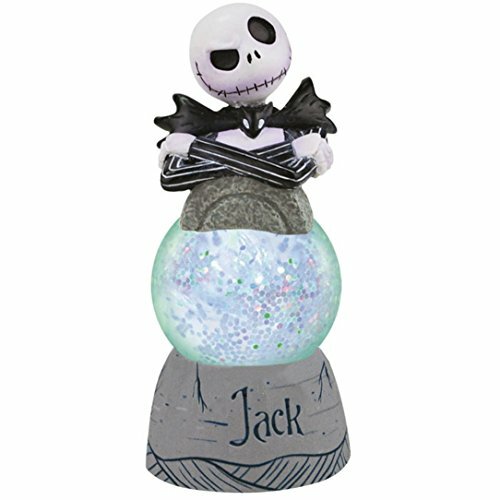 Last but not least in my list is the Jack snow globe that is quite a different style than the other two. Instead of the character being inside the globe, it is the main body of the piece and his basically holding onto the glittery snow orb. As with the one above, this style also comes in a Sally. This would make a great pair to purchase if you are looking to have more than one and would easily complement each other on a mantle or side table.